DAMASCUS (Sputnik) - Russian servicemen have delivered two tonnes of humanitarian assistance to Yarmouk camp near Damascus, Eduard Titov, a representative of the Russian Defense Ministry's Center for Syrian Reconciliation, said. The footage sheds light on the activities of Daesh terrorists at the Yarmouk Palestinian refugee camp, which was liberated by the Syrian army last week. 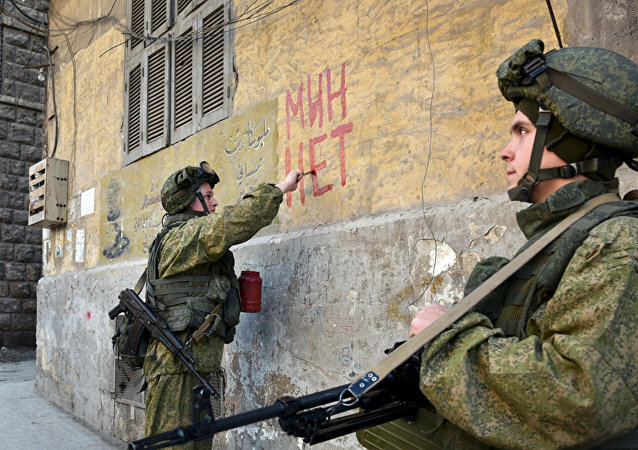 On May 22, the Russian Defense Ministry’s center for Syrian reconciliation stated that the Syrian army was finishing the liberation of the Muhayam al-Yarmouk district from Daesh militants. 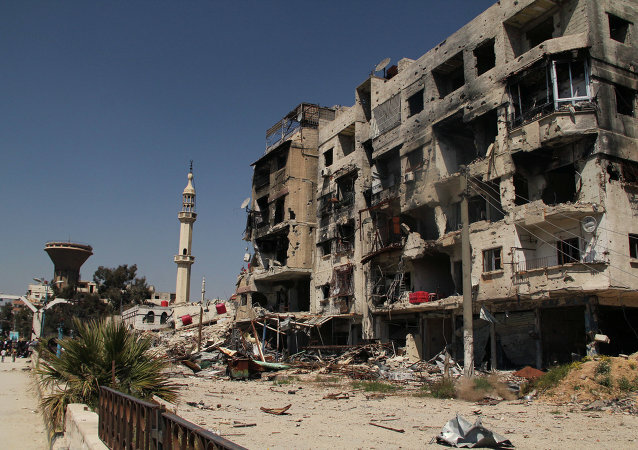 A total of 9,368 militants and their relatives have been relocated from Syria's Homs de-escalation zone since Monday, Maj. Gen. Yuri Yevtushenko, the commander of the Russian reconciliation center for Syria, said Saturday. 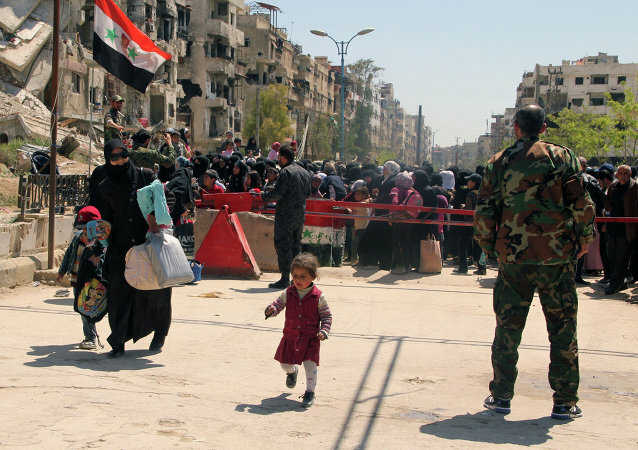 BEIRUT(Sputnik) - The Syrian authorities agreed with militants on their withdrawal from Yarmouk camp located to the south of Damascus to Idlib, while some 5,000 civilians will be evacuated from the towns of Kefraya and Fua, local media reported Sunday. In the war going on between Daesh and al-Nusra Front near the Syrian capital of Damascus, Palestinian refugees have been trapped in “desperate” conditions in the Yarmouk refugee camp south of Damascus without food or water for more than a week. The evacuation of thousands of militants from a captured Syria's refugee camp of Yarmouk in southern Damascus has been suspended, media reported on Saturday. Recent reports about the deal between the Syrian government and the rebels aiming to end conflict in a captured Syria's refugee camp of Yarmouk are credible, the UN Relief and Works Agency (UNRWA) said on Friday. More than 100 people have contracted typhoid fever in the past two weeks in the Yarmouk refugee camp outside the Syrian capital, Damascus, a World Health Organization (WHO) official told Sputnik on Wednesday. 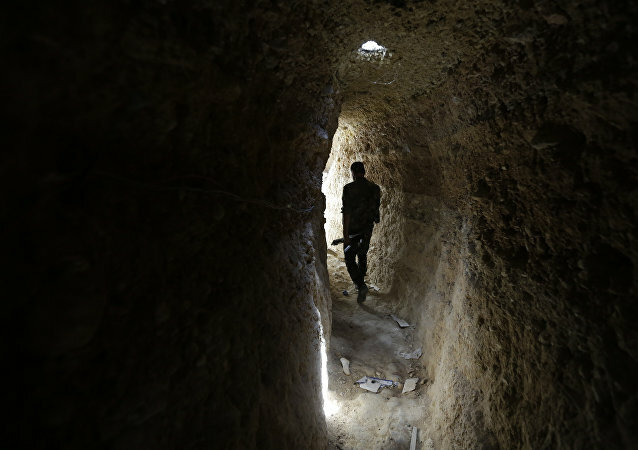 Would-be Islamic extremists can travel to Syria via Turkey, Jordan or Iraq. As for law-abiding citizens, they do not have many choices with Lebanon being the only relatively safe option. The United States will provide $6 million to the United Nations relief agency for Palestinian refugees to assist with the humanitarian crisis in the Yarmouk camp in Syria, according to the US Department of State. A spokesman for the Central Committee of the Popular Front for the Liberation of Palestine said that Palestinian military units have liberated almost half of the Yarmouk refugee camp territory from ISIL militants. Street fighting is going on in Yarmouk as the "Free Syrian Army" (FSA) is forced to sign a truce with the Syrian government in face of the Islamic State's unexpected advance. Palestinian ambassador to the UN, Riyad Mansou urges UNSC should take action to ensure safe passage for Palestinians trapped in the Yarmouk refugee camp in Syria. 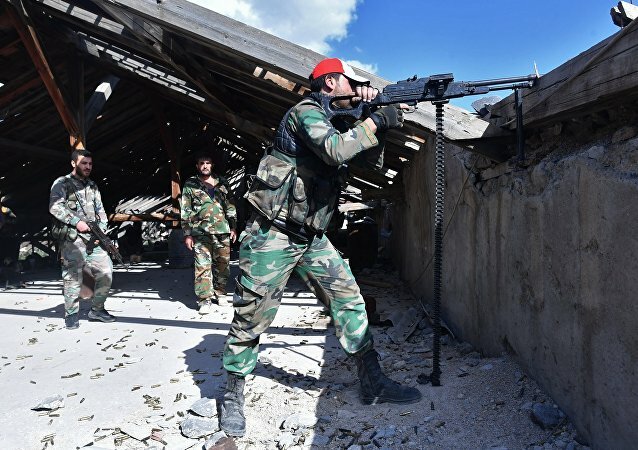 15 people, including the Free Syrian Army fighters, were killed and 70 others were wounded during a rally in a Palestinian camp on the outskirts of the Syrian capital Damascus by the ISIL militants.